Abortion NSW bill for decriminalisation voted no in Parliament. 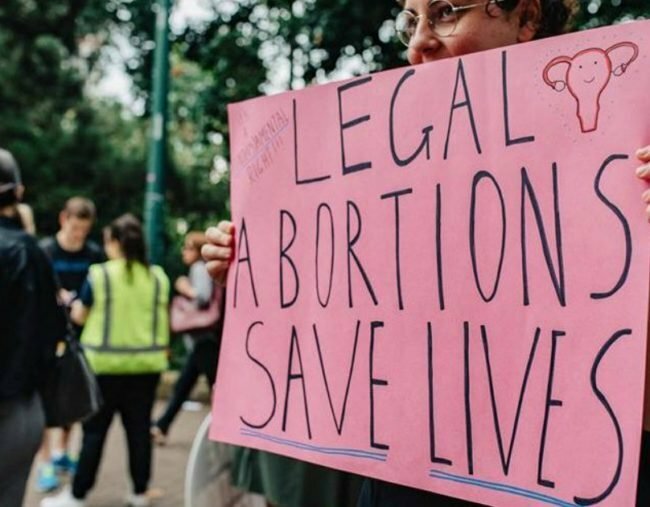 NSW Parliament votes no on legislation to decriminalise abortion. Greens MP Mehreen Faruqi’s bill sought to have offences relating to abortion removed from the Crimes Act and common law. It also required doctors who objected to abortion to refer patients onto a doctor who would help them and to install 150-metre safe access zones around abortion clinics to prevent the harassment of staff and patients. Both pro-choice and pro-life protesters lined up in front of Parliament ahead of the debate and the public gallery was packed with supporters and opponents of the bill. MPs from both sides of the chamber were granted a conscience vote on the issue — but a number of pro-choice MPs expressed concerns about details of the bill. Dr Faruqi said that the fight to decriminalise abortion would continue despite the voting down of her bill. Labor’s health spokesperson Walt Secord voted for the bill as he is pro-choice — but expressed concern that it left no legal framework to allow medically approved abortions to occur. “As the shadow health minister for the last three years I have not received a single representation on abortion or the need for legal clarification — until [Dr Faruqi] began her campaign,” he said. “Dr Faruqi’s legislation has not provided a legal framework to allow medically approved abortions to occur. She’s removed that — with nothing in its place. Dr Faruqi said that current medical and criminal laws would continue to protect patients. “All these professions are regulated under the Health Practitioner Regulation National Law and they will continue to stop unqualified people form practising as doctors, pharmacists or nurses,” she said. “Anything done without the permission of the woman is now and would continue to be grievous bodily harm which carries substantial penalties. Despite the defeat, Dr Faruqi said it was an historic day for women’s rights in New South Wales. “This is only the start we have created overwhelming momentum and we will only move forward from here,” she said.